Trying all you can to know as much information about a product is understandable. Searching as many articles and journals looking for facts about a product before making a decision to buy such product is wise. Undercover Flex gives your ride a classic look, protects your goods and saves you money at the Gas Station if only you could pay the price of purchasing it. What to expect from the Undercover Flex and who is this product for? How to install Undercover Flex? What is the alternative for the Undercover Flex? Undercover flex is used at the back of trucks. 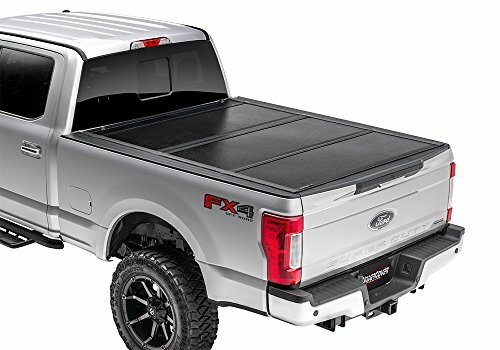 Undercover flex is a type of tonneau covers used by most trucks. It is hard and can be folded into three (3) pieces. Most undercover flex in the market ranges between 5ft to 7ft. Undercover flex can ensure you have perfect control over your truck tonneau. It is made up of hard materials ensuring whatever you keep at the back of your truck stays perfectly safe. This product gives your ride a really sleek and smooth look and at the same time gives it top-notch security and easy accessibility to the bed of your truck. The panels of this truck bed cover are connected with a leak-proof and seamless rubber seal. Its tube also drains moisture to keep your cargo dry. It has ultraviolet finishing, which means it would not fade on time. It is highly recommended to use this undercover flex for your truck, especially if you use your truck for business. It's so easy to install that you can practically do it yourself. It can keep your cargo safe from theft and from elements, plus it can also keep your truck bed clean. Undercover flex comes with a three (3) year warranty making it one of America's bestselling folding tonneau cover. Undercover flex manufacturer designed undercover flex having it mind the strength of the end product, that is why despite undercover flex can be folded it is still very durable. It is made out of some really high-quality materials such as high dense fiberglass reinforce polymer that can withstand the weight of up to 400 pounds. Despite that undercover flex can cover tonneau completely, it can also allow up to 100% access to your truck bed. With Undercover Flex it Is easy to access to your truck be. For some other tonneau covers it is either to choose between access to the truck bed, or to choose a style, or to choose security. But for undercover flex it is the other way around, it has the style, the accessibility and the security you need to have rest of mind. Undercover flex has a whole lot of advantages that hardly would anyone be able to point a finger at a disadvantage. But if you are looking for an alternative, one of the best truck bed covers in the market right now is the Bakflip MX4. This truck bed cover can give you the full access to your truck bed because you can fold the cover. It has rubber bumpers that protect the cab from any impact. It also has a water drainage system that is extremely useful especially during winter and rainy days. It has a matte black finish that serves as a UV protection and it is scratch resistant. It is easy to operate as the panels latch on to the mountain rails of the cover and you can deactivate it by just pulling the cable. The tailgate can also operate whether you have the cover closed or open, thanks to the universal tailgate functionality. You can also install the Bakflip MX4 in less than an hour with no drilling involved. It comes with a manual that you can follow. If Undercover Flex does not strike your interest, the Bakflip MX4 definitely will. You can read a detailed review of Bakflip MX4 Here. The Undercover Flex is definitely one of the best truck bed covers out there, however it is outdated. The construction of the Undercover Flex is so well engineered that the fiberglass reinforced polymer, which is used in making the cover, is lighter than most other materials used in the production of other tonneau cover but yet stronger than most of the other tonneau covers. Undercover flex is also constructed in such a way that it has reinforced iron rod to support the plates when they are folded. This is essentially useful while driving so as to prevent the plate from sliding up and down. To also further increase easy accessibility to your truck bed, the manufacturers of Undercover Flex also installed on both sides of the place slam latches. These slam latches are what makes opening the panels and closing the panels easy. It is so easy that they can be opened from either side of the truck. That said, we recommend Undercover Flex and Undercover Ultra Flex as a more developed version. You can read Undercover Ultra Flex review here.